What a beautiful two days! I love when I have the chance to capture the rehearsal dinner with my clients. And with Shawna and Scott, it was an extra treat. 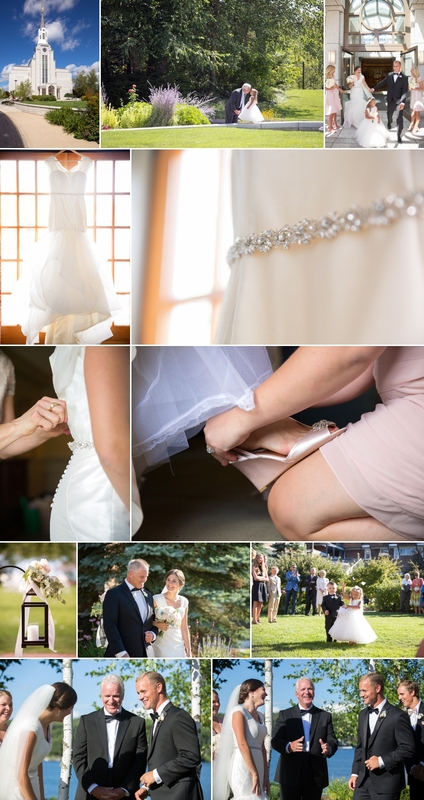 We were able to do a full bridal session together the day before the wedding. Props to the happy couple for getting in their formal wear a day early so we could spend some time on Lake Winnipesaukee with some gorgeous late afternoon light! 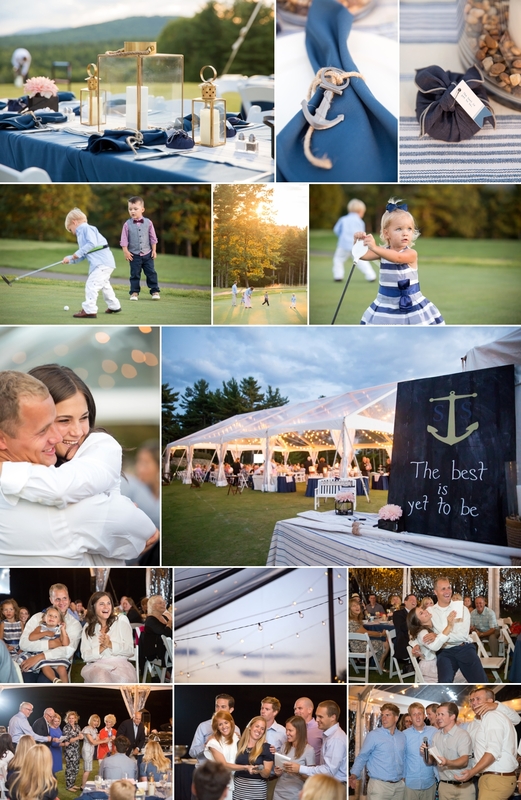 After our session, and a quick change, the couple had a fabulous New England themed dinner at the Lake Winnipesaukee Golf Club. Watching Shawna and Scott’s many nieces and nephews and Scott’s beautiful daughter Hallie on the putting green was absolutely priceless! It was also a blast watching guests perform their own versions of “Row Row Row Your Boat” with words themed to the wedding. The following day, Shawna and Scott started at the Boston LDS Temple with a sealing ceremony and some photos outside the temple. Then it was back to New Hampshire for a ring exchange ceremony and a wonderful celebration right on Lake Winnipeasukee at Mills Falls Church Landing. The couple exchanged rings with the Lake as their backdrop and under a beautiful hand made arbor made by Shawna’s mother. Hallie made a beautiful flower girl while Scott’s father officiated and had a chance to talk about that morning’s intimate and special sealing ceremony. After an outdoor, tented cocktail hour, guests proceeded to an elegantly decorated ballroom for dinner and dancing. 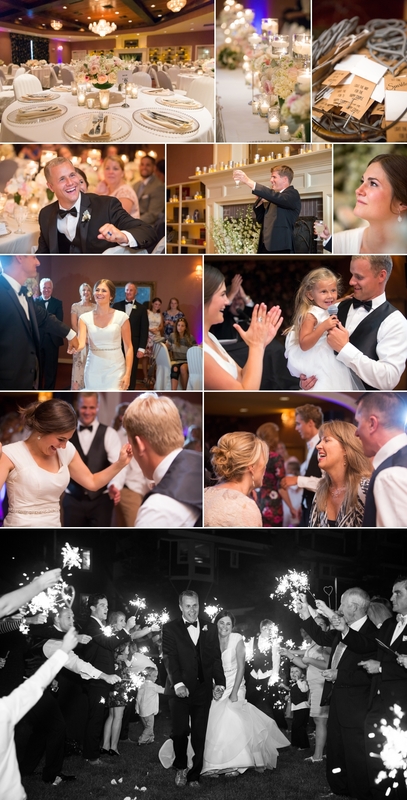 And as if that were not enough, the couple exited with guest’s sparklers lighting their way to a private boat. The day could not have been more perfect!